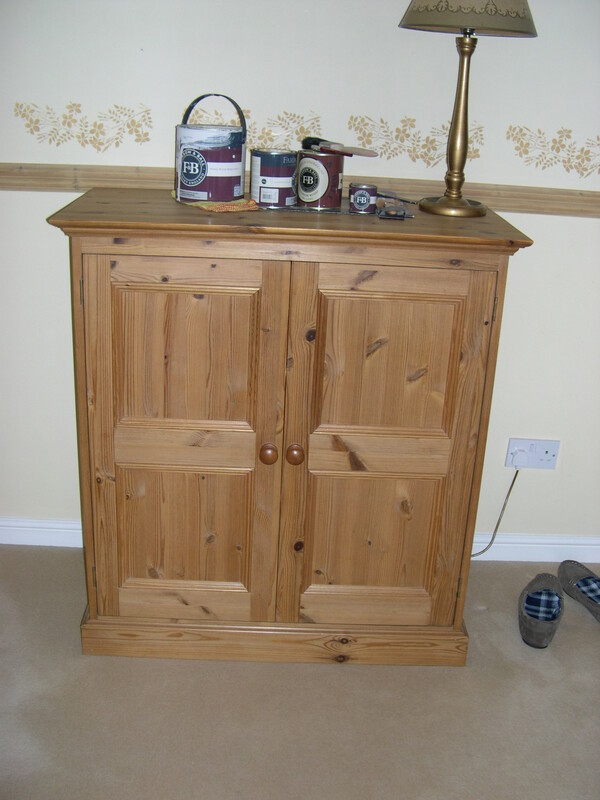 This project in Evesham, Worcestershire, is a prime example of the work that I get requested to look at as a Traditional Painter… I was contacted via email by my (now) clients and asked to quote to paint their pine furniture that they had had for 18 years. The construction of the furniture was still very sound, but, the overall look was dated. I was told that they had attempted to start the project themselves, but once it was underway they felt that they had “bitten off more than they could chew”. 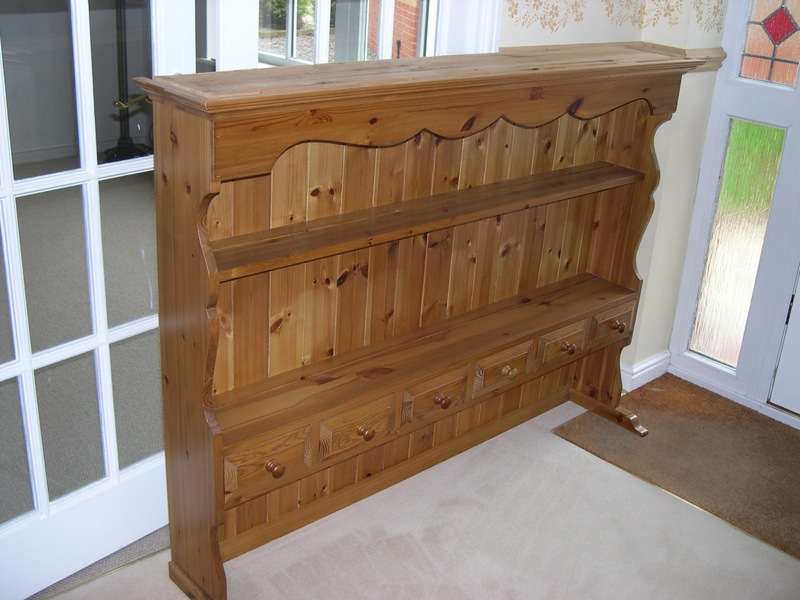 The project was in three pieces; a two piece Welsh Dresser and a “School Cupboard”. The base of the Welsh Dresser had been very lightly “nibbled” and partially primed with Farrow & Ball Interior Primer product – my first task was to remove this product with my dust-free sanding system (Mirka CEROS & Abranet), degrease and treat with Pegaprim Isofix tinted to the topcoat colour; Isofix is a Shellac based product that seals the substrate and sticks extremely well giving a great base for further coats. 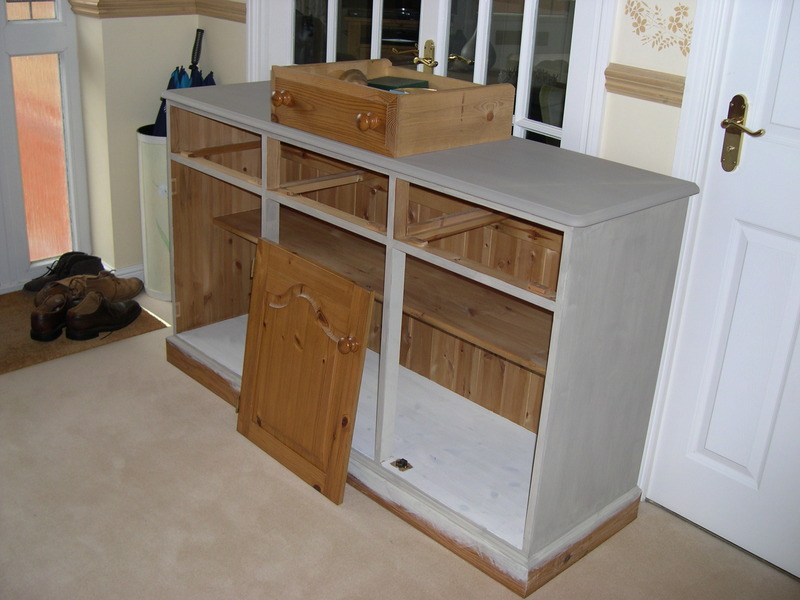 I then flatted off by hand with 320 grade Abranet and cleaned down with a Tack Cloth before applying a further coat of Isofix – I left the paint to “cure” overnight and the following day applied two further coats of Tikkurila Feelings Furniture Paint in “Charleston Grey”. I applied the paint with a Dupont concave roller and my trusty 1.5″ FOX brush (from MyPaintbrush). Above you can see the level of finish that I was able to achieve… thanks to Tikkurila’s Feelings beautiful Semi Matt sheen. A job well done, I believe! ?… by the way, before anyone mentions the paint on the floor – if you look closely, the whole of my working area is covered by a self adhesive plastic floor protector that I “taped” to the carpet prior to starting any work! I don’t use dust sheet as I think that they are just “dusty sheets” and being a specialist furniture painter, it’s important to keep dust to an absolute minimum. 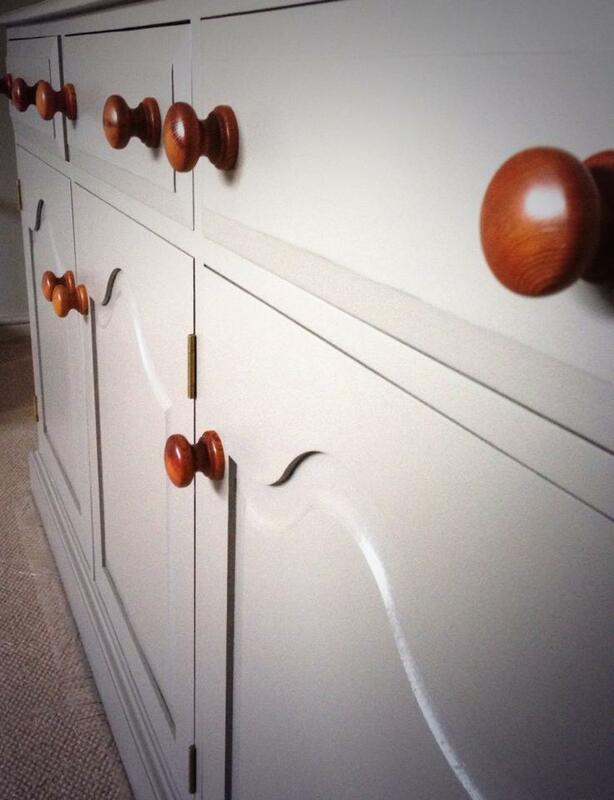 Martin Guest, Traditional Painter for South Birmingham, Hereford & Worcestershire. 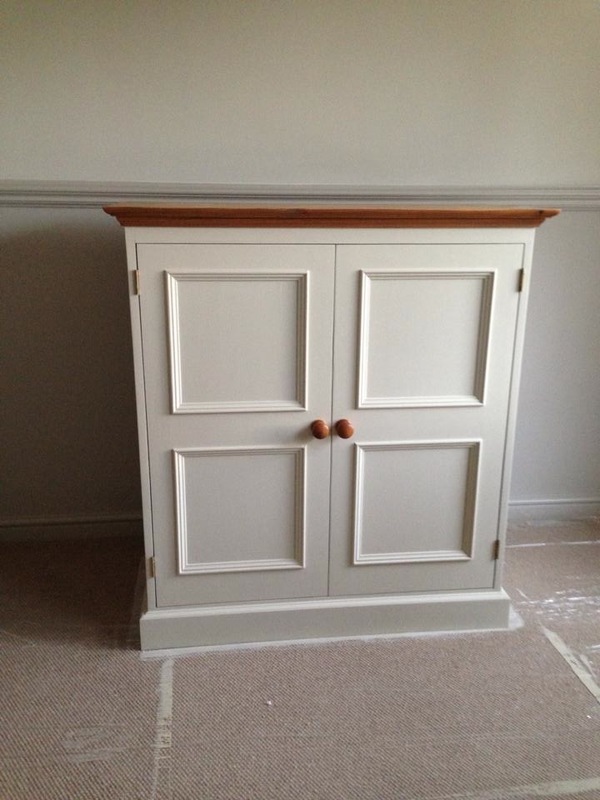 This entry was posted in Uncategorized and tagged Evesham, Master Painter, Pegaprim Isofix, pine furniture, School Cupboard, Traditional Painter, Welsh Dresser, Worcestershire on December 14, 2013 by mjguestltdblog.